SmartPayroll Solutions is located in Duluth, Georgia, and proudly serves clients in Atlanta, Georgia, and most of the southeastern states, with payroll processing, reporting, and payroll tax preparation. We serve businesses nationwide with our comprehensive, yet affordable, online and live HR services. We are committed to excellence and provide our valued clients with only the best payroll and HR solutions available with a hands-on, consultative approach. We also support community and environmental concerns by offering an efficient, green approach to payroll. You can read an overview of our payroll, HR and workforce management services here. 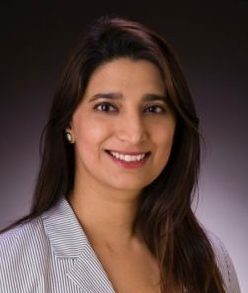 Shruti Dhawan, President of SmartPayroll Solutions, holds a Master of Business Administration (M.B.A.), in Management and Bachelors in Business Administration with specialization in Business Process Management and Computer Information Systems from Kelley School of Business, Indiana University. 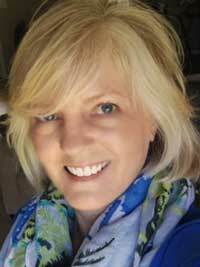 She is very passionate about working with small business owners and educating them on the different payroll tax laws that help businesses stay in compliance with the IRS and other government agencies. She also provides consultation to clients on opportunities to save them additional dollars through work opportunity tax credit (WOTC) service and streamlining their business processes. Prior to establishing SmartPayroll Solutions, she spent ten years at Fed Ex Services as a Senior Strategic Analyst, where she received several awards for outstanding work and outstanding teamwork. That tells us she gets along well with numbers, systems and with people. Her experience at Citi as a Quality Assurance Analyst left her with a sharp eye for details. With a desire to give back to her community, and a passion for children and education, Shruti teaches children as a volunteer at a local organization. Connect with Shruti on LinkedIn to learn more. Shruti is married to Saurabh Dhawan, an Invasive Cardiologist practicing in North East, Georgia. They have two children, Armaan and Amaira. During her time off, she loves spending time with her family and traveling to new places. 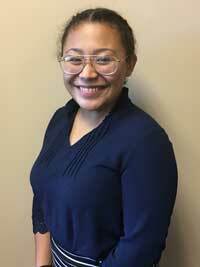 Maria Cabrera, Intern from GSMST – SmartPayroll Solutions is honored to support students at Gwinnett School of Math, Science and Technology (GSMST) by providing internships. Participation helps students prepare for college and real-world jobs. We believe schools and universities are doing an excellent job teaching students how to think, but they tend to leave a gap when it comes to preparing students for the workplace. We foster a learning environment at SPS and offer internships regularly, to help fill that gap. Students and their communities benefit from internships such as those offered at SPS and Shruti Dhawan encourages all business owners to participate and contribute whenever possible. It is her philosophy that if you own or are in a lead role in running a business, you have valuable experience to share. Denise Mistich, Marketing Director, has over 22 years of experience in business administration and production management, including 12 years of experience in communications, web design and other digital marketing services. She is currently the owner of First Up Marketing Services, providing strategic planning, web design, SEO and other marketing services. As part of the SmartPayroll Solutions team, she provides marketing and training materials. She serves the underprivileged in a ministerial role, with a desire to promote hope, healing and unity. You can connect with Denise on LinkedIn or visit First Up Marketing Services to learn more. SmartPayroll Solutions makes choices that benefit their community and environment. We can help you make the switch from cumbersome stacks of paper to an efficient, electronic system with an easily accessible audit trail. Nominated for Pinnacle Award in 2016. Selected as Finalist for Pinnacle Award in 2018. Could you benefit from a free consultation from a highly trained professional? 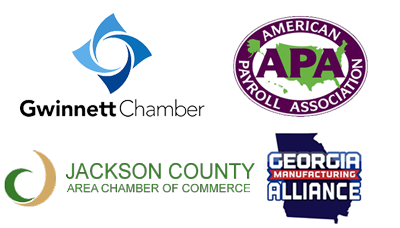 Call (678) 775-6750 and let us help you get your payroll process streamlined, accurate and compliant!